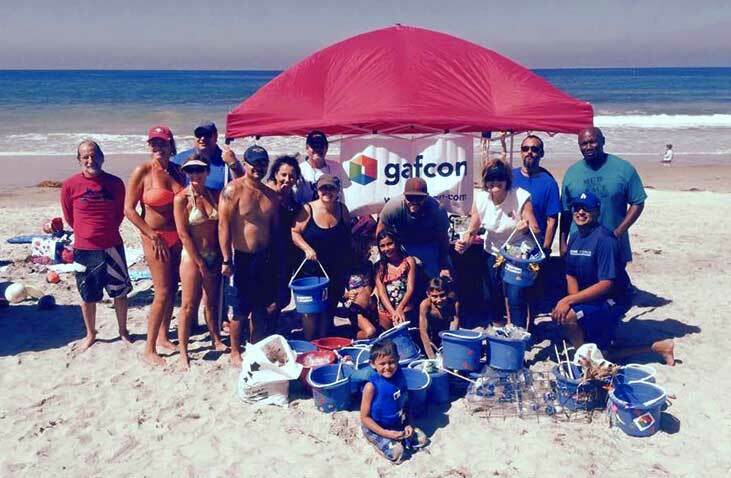 In 2015 Gafcon employees participated in the State of California’s annual Coastal Cleanup Day. 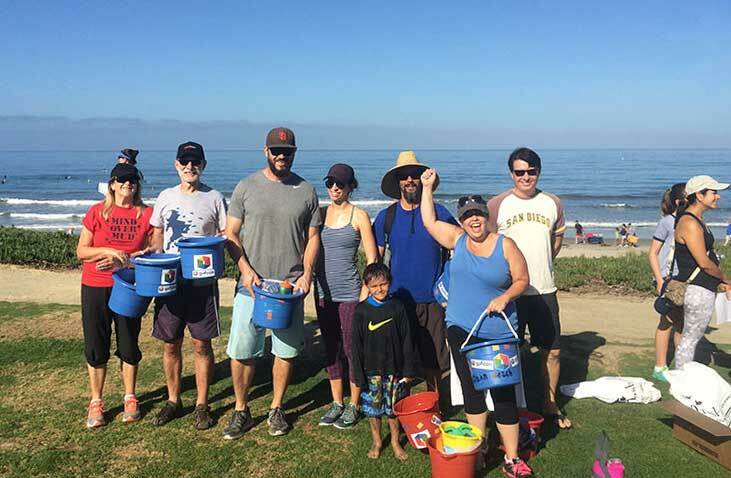 Over 35 employees participated and collected bottles, cans, wire, and trash from the beach and then stayed for a day of fun. 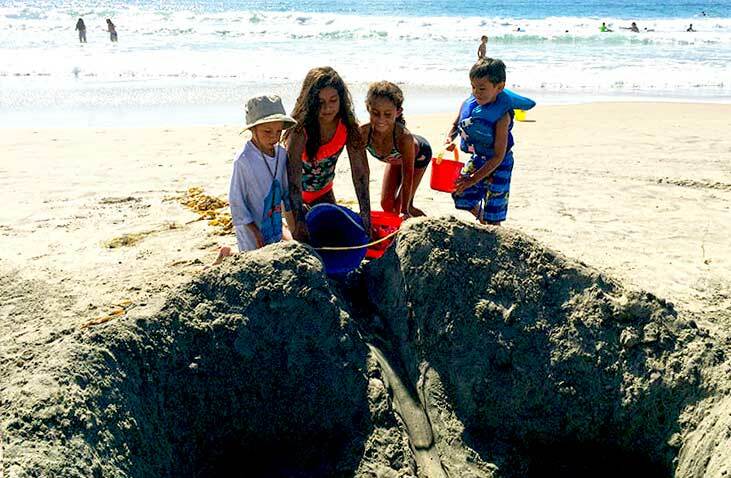 This is the state’s largest volunteer event with over 53,555 volunteers at nearly 900 sites in 54 counties across the state picking up hundreds of tons of trash. 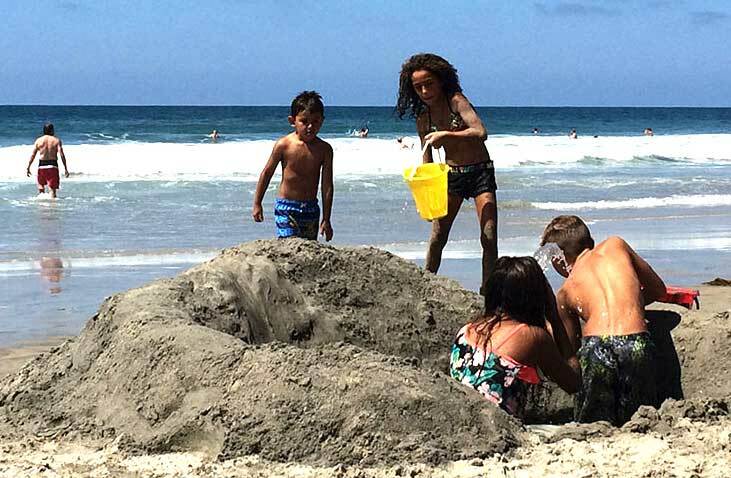 Cleanups took place at rivers, creeks, lakes and beaches from Mexico to the Oregon border. 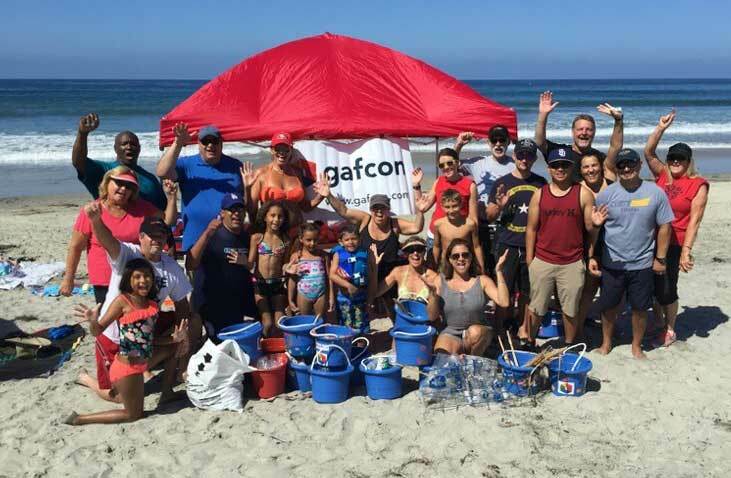 This was such a great event, that Gafcon has continued to participate year after year in both the Coastal Cleanup Day and Beach to Bay Cleanup events sponsored by I Love a Clean San Diego.